Pulse are an exciting function, party and wedding band from the North East of England and Scottish Borders with bag loads of experience, energy and expertise. 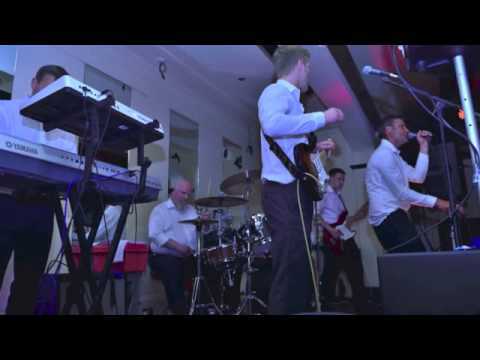 The band have an enviable repertoire, covering hits from the 50's to the present day plus they are more than happy to provide you with a complimentary disco and lighting! This band will bend-over backwards to accommodate every need and request of the hirer. You will find no pretence when dealing with them, and they can even go out of their way to learn a specific song that is requested for your big night! Sorry, Pulse: The Band doesn't have any photos right now Send us an enquiry and we'll get back to you, or check out the rest of the act profile. Sorry, we don't have a setlist for Pulse: The Band yet Send us an enquiry and we'll get back to you, or check out the rest of the act profile. Due to a problem with another band, Pulse saved the day! They learned a couple of new songs we specifically wanted and Galway Girl was a huge success on the night. The dance floor was packed all night and they gave our evening reception a real buzz! We can't recommend them enough? Pulse were perfect, they nailed the evening and at very short notice! Can't thank them enough! "Need a band for a wedding, birthday or just need a band. "Thank you all so much for playing at our wedding, you were fantastic, every one who was there has all said how good the band were - there was a super atmosphere! You made our special day that bit more special. Thanks so much"
"Thank you guys for all the excellent music you provided, had loads of people asking about you guys and delighted some of the guests have booked you for their events.